Atkins. Dean Ornish. Weight Watchers. Zone. These diets are just a drop in the ocean when it comes to the number of diet programs that exist today. All claim excellent results (though, according to the fine print, results may vary and may not be typical) and have their niche areas of why they work. High fat. Low fat. Low carb. High protein. Plant-based. Point-based. There is always that something that is designed to catch a person’s attention and make them think, “this is what is going to help me lose the weight this time”. Right, because the last diet didn’t have enough protein in it (to be fair, there may be some truth to that but that’s another post for another day). Or maybe this is you. Every year, it’s a new diet. Something revolutionary that will absolutely change your body composition and help bring you to a new level of health. Except that it doesn’t. And every year, it’s a new program that will finally be the one. In a recent meta-analysis of a number of different diet studies and weight loss, the conclusion was interesting. Studies showed that it didn’t matter which diet program an individual chose to follow . The main thing that mattered was that they stuck with it. That is, people lost weight whether they were on a low-carb diet or a low-fat diet, but only if they stuck with it for longer than 6-12 months. For those who were able to stick with their diets up to the 6-month mark and lose a significant amount of weight, there was an emphasis on behaviour modification to help get them to that point. Looking at the study participants who reached the 12-month mark of weight loss, the involvement of physical activity played a large role in allowing to achieve that milestone, while the effect from behavioural support decreased. When looking at different diet programs, ask yourself one question – can you eat like this for the rest of your life? Or, at the very least, for the next 12 months? If the answer is no, then perhaps that diet isn’t for you. Depending on the type of person you are and the kinds of food you like to eat, some diets can be extremely restrictive and unsustainable for the long run. This may mean that once you go back to eating the foods around which you have built your daily habits, the weight will slowly come creeping back. Don’t get me wrong. I’m not advocating a diet built around pizza and donuts if those are the only types of food you like to eat, but I’m not necessarily saying you can never eat those foods ever again either. There needs to be a certain understanding and awareness of food, along with the willingness to modify daily eating habits, in order to successfully lose weight and maintain that weight loss. The weight you gained didn’t happen overnight. The weight you lose won’t be lost overnight either. What does this mean? Start with realistic expectations. Expect to take between eight months to a year to lose 50-60 pounds. The more gradual the weight loss, the better your chances of keeping it off for good. Also, if you have a significant amount of weight to lose, the gradual loss gives your body a better chance to adapt to any loosening of skin and mitigating muscle loss in the process. Don’t think of weight loss as your end game. It’s a learning process that incorporates small changes in eating habits, physical activity and exercise, changing the way you think about food, and patience. Along the way, those small changes you make and incorporate into your daily life, will coalesce into a larger, sustainable lifestyle shift that may surprise you. At the end of the day, the research shows there really is no “best diet”. 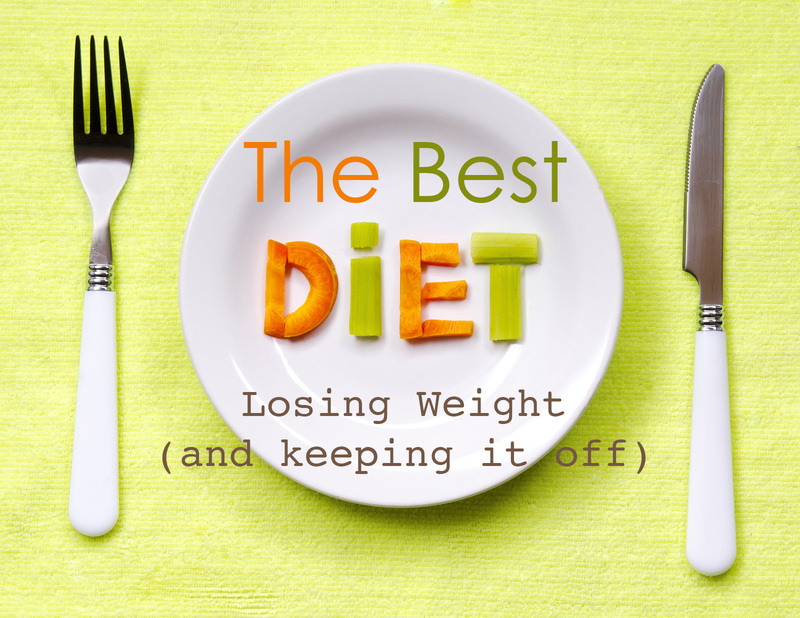 The best diet is, ultimately, the one you can stick with and the one that lasts a lifetime. All the points are clearly and well explained. Although ‘these diets are just a drop in the ocean’ but you never know how many people can gain the advantage from this. Thanks for telling us what the research says and other things about weight loss.